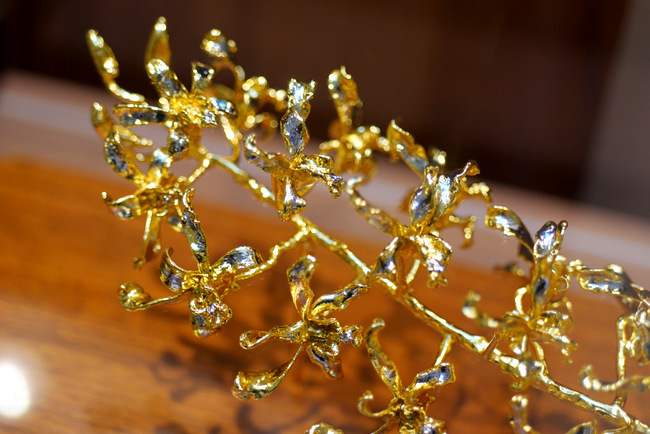 Close up of the 24K gold plated Dendrobium Elizabeth, which was named in honour of Her Majesty The Queen on the occasion of Her Majesty’s visit to Singapore in 1972. Vanda ‘Miss Joaquim’ a.k.a. Singapore Orchid, is a delicate, soft pink bloom that have captivated many out-of-town friends since taking its throne as our national flower in 1981. Many, including proud locals, have wanted to bring home a memory of its beauty – a reality made possible by homegrown jeweler, RISIS. 24K Gold-plated and glistening on decolletages, slender fingers and study tables, RISIS’ Orchid Blooms celebrates its 40th birthday this year. They have pulled out all the stops, bringing in pieces from never-before-displayed keepsakes from private archives, personal collections to unique collaboration pieces with local artists, to be exhibited at Raffles City Shopping Centre, Atrium till 17 August 2016. Did you know RISIS’ iconic blooms came from a gesture of love? A young scientist wished nothing more than to capture the beauty of the orchid in the most precious and everlasting of metals, pure gold, for his dearest wife. 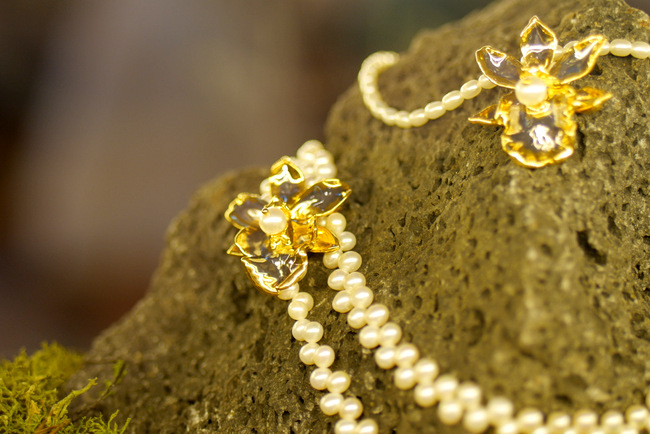 Needless to say, he was successful, and has created a homegrown brand that blossomed into Singapore’s choice of gifts and jewelry house that we know today. Not resting on their laurels, they continue to bring forth elegant designs for both the young and mature. Their 40th anniversary saw fruition to a stunning collaboration with Singapore’s leading Chinese fashion and beauty magazine, NUYOU, also displayed at the exhibition. 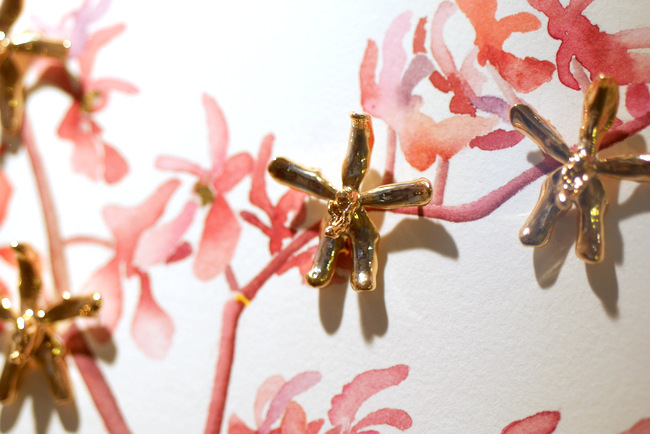 RISIS gold plated orchid blooms presented in collaboration with local watercolour artist, Lucinda Law. Botanical-led watercolour artist, Lucinda Law, was an obvious choice. 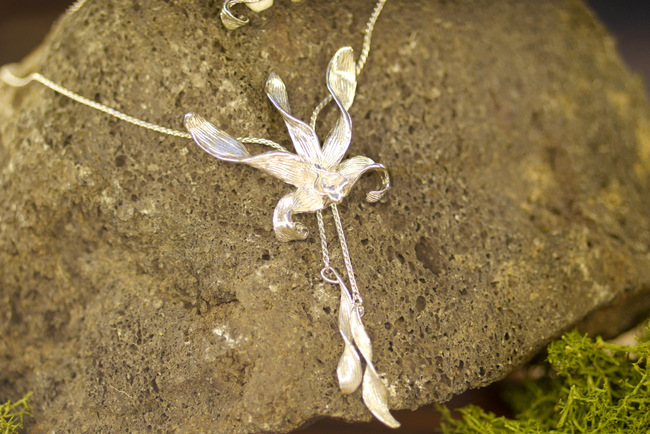 One on paper, one with metal, both encapsulates the delicate blooms of orchid blooms. Together? Pure magic. The vivid colours of petals and vines work together with the glimmering metal-plated blooms in six captivating watercolour pieces, presenting classic RISIS favourites in a completely new light. 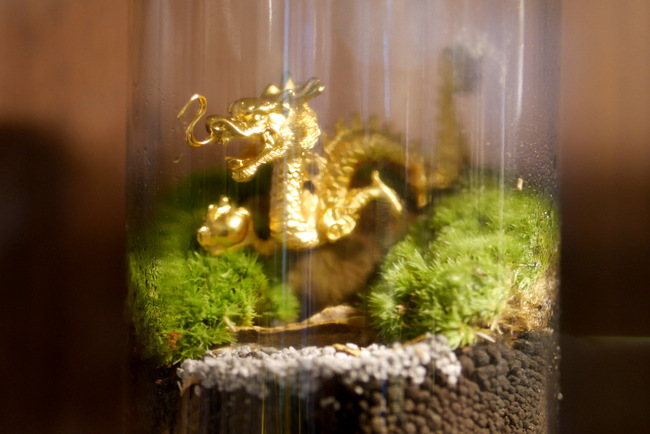 The Chinese Zodiac collection is presented in terrariums, in collaboration with Mossingarden. Pictured here is the dragon. Another of RISIS’ popular collection is the Chinese Zodiac series. These enigmatic animals are said to exercise profound influences on a person’s life (depending on the ruling animal of the birth year), therefore, deserving more than just the regular brick-and-mortar on-the-shelf display. That’s where Mossingarden came in. The terrarium studio brought life to each of the 12 zodiac animals, dressing them, one by one, in their own “habitat”. 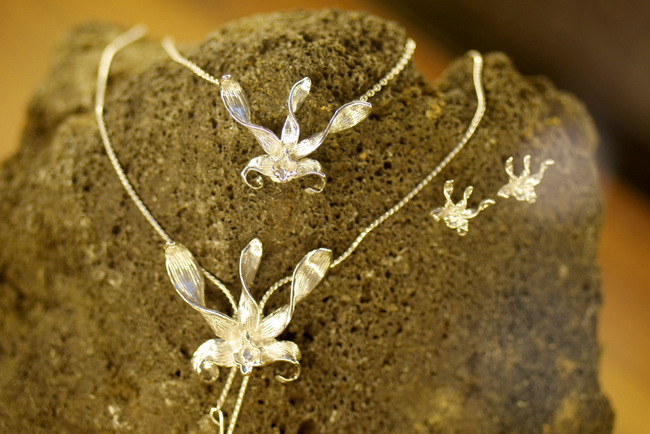 Those charmed by the exhibits can also purchase the newest collection and more from the connecting pop-up store.